Excellence requires a ‘can do’ attitude, sometimes it takes a ‘can do’ attitude over and over again until you finally get it! Throughout Friday’s history we succeeded in doing the impossible. Sunday brunch with ‘fresh’ hollandaise sauce for Eggs Benedict and Eggs Sardou. We served white table cloth food in a ‘high volume’ casual theme restaurant……impossible! We did it! For years I would take ‘can’t do’ management staff to a place in Scottsdale called Pischke’s. Prior to going I would show them his extensive menu and tell them of the lines out the door. The quality and service spoke for itself. The first impression upon entering Pischke’s, was how crowded the place was and the second impression was how small the kitchen was. After having a great meal with good ticket times we would go back to see their elaborate kitchen and ponder the possibilities. Pischke’s sold bumper stickers with their motto. I even put one of his bumper stickers on the boat. It reads: “NO SNIVELING!”. I have been struck while writing the book and doing research at the preponderance of negative can’t do attitudes. As I teach in the book there are many who have become very polished at explaining why it can’t be done or why it didn’t happen. (I am not into politics so I won’t mention politicians.) Sadly, many I have studied accept mediocrity instead of ‘going for it’ they just skillfully explain it away. 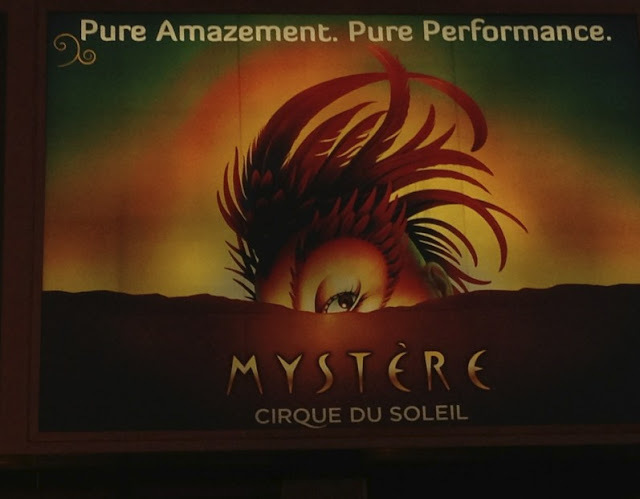 For Sandy’s and her mother’s birthday, my brother-in-law took us to ‘Mystere’ at show in Las Vegas. If you or your associates are plagued with a ‘can’t do’ attitude, go to this show, watch what they do and just TRY and think ‘can’t do’ now THAT is something that CAN’T BE DONE. This entry was posted on February 2, 2013, 1:37 am and is filed under Uncategorized. You can follow any responses to this entry through RSS 2.0. You can leave a response, or trackback from your own site. Can I have the fresh hollandaise sauce recipe, please?